One thing I learned in the aftermath of our love was that my heart can crack, break into a million pieces, and shatter like glass, but it kept beating. MY WAY BACK TO YOU, the conclusion of the Second Chances Duet, had considerably less angst than its predecessor, which I was highly grateful for. I love a good angsty story but the first book bordered on torturous for me. After having finished it, I was left feeling absolutely no connection to Tessa or Rowan. I thought Rowan’s reasons for doing what he did were lame and eye-roll inducing. I ended up liking Tessa’s character in this book and overall I was happy with how things turned out. These two had been through enough and four years of separation was a bit excessive. 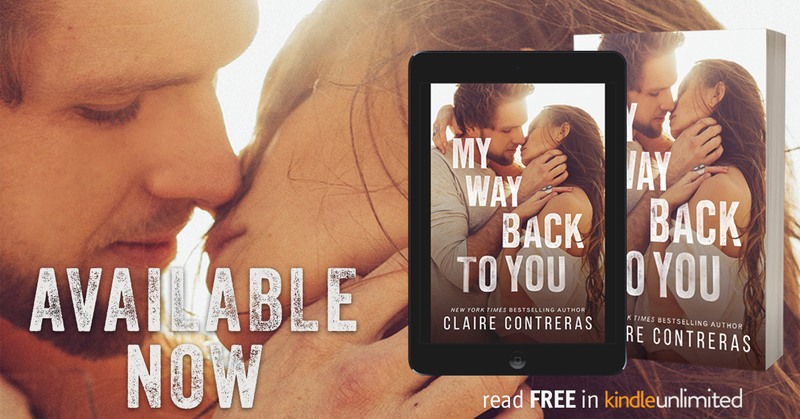 Years after Rowan and Tessa were torn apart by seemingly impossible circumstances, Tessa is moving back to New York with her four-year-old son, Miles, for a job promotion. Rowan and Tessa have bumped into each other a few times over the years, and in all that time she has kept the fact that he’s the father of her child a secret from Rowan and almost everyone except her grandmother and sister. She struggled with her decision and felt extremely guilty for keeping Rowan from his son, but she couldn’t risk her son being subjected to the likes of his evil wife and mother. When a very important project is assigned to her at work she is forced to spend a great deal of time with Rowan since her company is using his textiles and also helping to promote one of it’s newest business endeavors. When Rowan figures out Miles is his son, he’s a bit shocked and hurt but Tessa is the love of his life and all he wants more than anything is to be with his new family. While he tries to get his life in order by making his divorce with Camryn final, Rowan and Tessa start to rebuild what they once had. But will the unpredictable and slightly unstable soon to be ex-wife go out quietly or will she do her best to keep the lovers apart for many more years to come? Having a son and building her career seemed to bring about growth for the character of Tessa. I found that I could be empathetic towards her when in the first book I wasn’t really crazy about her. I continued to have a hard time warming up completely to Rowan. He’s still my least favorite Hero created by Claire Contreras. He should have learned from his father’s mistakes rather than repeating them. He also states a few times throughout this story that he wouldn’t have done things differently. Having control over his company still outweighed living a blissed-out life with the only woman he ever loved. If he kept to that motto to the very end, I definitely would have rated this book lower. 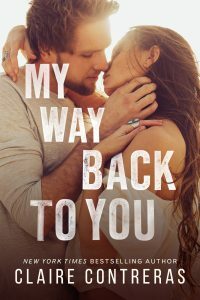 MY WAY BACK TO YOU is currently available.